Are Schools Responsible for Chronically Absent Students? It’s hard to educate students who aren’t at school, and soon all schools in Oklahoma could be accountable for students who miss a significant number of school days. The state Education Department has proposed measuring chronic absenteeism for all schools in the new school report card system, with the measure comprising 10 of a school’s 90 possible points. Chronic absenteeism is different from attendance rates, which are the average number of students who show up on a given day. Most schools have very high attendance rates, typically over 95 percent, and the state proposes to eliminate that category from report cards. Chronic absenteeism measures all types of absences, unlike truancy rates, which only include unexcused absences. Critics of using the measure for school accountability say schools have little control over whether students show up each day. In an interview, State Superintendent Joy Hofmeister responded to that criticism by saying schools are obligated to engage parents and remove barriers to attendance. In Oklahoma, 12 percent of students, or 79,172, missed 15 days or more in the 2013-2014 school year, according to an Oklahoma Watch analysis of the data collected by the U.S. Education Department’s Office of Civil Rights, which defines chronically absent as missing 15 days of school. Ten percent of schools reported more than 25 percent of students were chronically absent. Some schools reported that more than half their students were chronically absent, including Tecumseh Middle School, at 63 percent; Canton High School, at 62 percent, and Durant High School, at 60 percent. Nationally, 14 percent of students were chronically absent, or about one in seven, the federal study found. Rates were highest in high school, with one in five high school students chronically absent. Other research suggests the absenteeism rates also are high in early elementary school, including preschool and kindergarten. Chronic absences are particularly prevalent among students from low-income families, Native American students and students with disabilities, research from the National Center for Children in Poverty shows. The reasons for chronic absenteeism vary and include poor health, limited transportation and lack of safety, according to a 2012 John Hopkins University report. Researchers noted three categories of students missing school: those who cannot attend due to issues such as illness, family responsibilities and housing instability; those who want to avoid bullying, harassment or embarrassment; and those who miss because they or their parents don’t see the value in being there. Getting kids to school regularly can have a big impact. 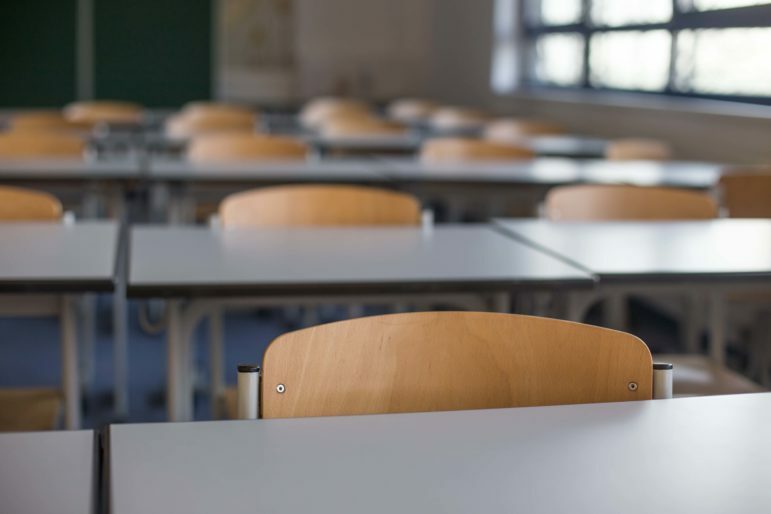 Irregular attendance is a better predictor of whether students drop out of school than test scores, a University of Utah study found. Students who are chronically absent in preschool, kindergarten and first grade are much less likely to be reading at grade level by third grade, other research shows. Attendance Works, a national project of the nonprofit Child and Family Policy Center, encourages states to choose chronic absenteeism for their school accountability systems because it meets federal guidelines, is already being reported directly by schools to the federal Education Department and is linked with academic achievement. The challenge facing schools and districts is how to reduce the absences. Attendance Works suggests districts analyze their data, identify schools in need of support and use various strategies. Those can include engaging the community and removing attendance barriers, such as expanding transportation and before and after school programs. Early this year, Tulsa Public Schools stepped up its efforts to improve school attendance by mailing letters to parents of students with the most absences. The letters emphasized how even a small number of absences can add up to a lot of lost learning time. Twenty-two percent of the district’s students were chronically absent in 2015-2016, but rates are higher for Native American and Pacific Islander students, the district said. In Oklahoma City Public Schools, efforts to reduce absenteeism are being complicated by budget cuts that reduced truancy officer positions. U.S. Grant High School Principal Greg Frederick said work demands on parents and students account for some chronic absenteeism. U.S. Grant High School Principal Greg Frederick said the school now relies on police to help warn parents whose children are missing lots of school. A parent liaison and teachers share the responsibility of contacting parents whose children are becoming chronically absent. U.S. Grant reported 45 percent of its students missed 15 days or more in 2013-14, federal data shows. Frederick said there are many reasons students miss school: Maybe their parent gets up at 5 a.m. to go to work, and they depend on their child to get themself up and go to school. Or the parent works a late shift and is sleeping when the child gets up for school. The school has many students who hold down jobs and work the closing shift at a restaurant until 11 p.m.
“If we have the kind of culture where students want to come to school, then I think that does more to deter absenteeism than anything,” Frederick said. The ideal culture ensures safety and provides caring teachers and staff while holding students accountable to high standards, he said. Using chronic absenteeism in school report cards may have unintended negative consequences. It could lead more schools to unjustifiably pursue legal action against parents whose children miss lots of school, warns Education Trust, a national nonprofit that advocates for minority and low-income students. It also may incentivize schools to define “absence” as narrowly as possible or otherwise game the system in order to report fewer absences, the nonprofit said. 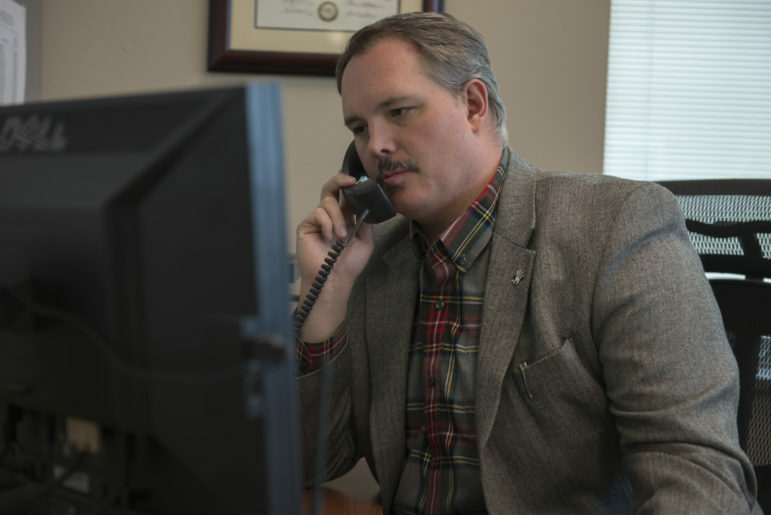 Patrick Forsyth, a University of Oklahoma professor who has studied the state’s A-F report card system, said there are other, more effective measures of school accountability, such as teacher stability and quality. He said using attendance to measure school effectiveness is like using rates of tobacco use to measure hospital effectiveness. It keeps blame on the schools yet does nothing to address chronic poverty. However, even affluent districts may have high rates of absenteeism due to vacations, said Janet Dunlop, deputy superintendent of assessment and accountability at the Education Department. So measuring and grading schools on chronic absenteeism is one way to not ignore poverty, but also not use poverty as an excuse, she said. “Because regardless of where that student comes from, they still need to be in school,” she said.